I opted to do an upgrade of an existing Amiga OS 4.0 install instead of a fresh one. This is due to not wishing to reinstall everything. The Amiga OS 4.1 installer did a good job of updating all the icons of my older software to new ones. After a painless installation process, Amiga OS 4.1 was ready for use. However, one down side of upgrading instead of a fresh install is that some of the old settings hide new features. For example, the boot jingle was switched off. As pointless as it is, the addition of the boot jingle is kind of nice. The improved file lister was also disabled. This feature adds scaled icons when listing drawer contents by name; it also allows horizontal (and vertical) colour bars to make it easier to see how file names and attributes match up. Possibly the most annoying side effect of not installing from scratch was that some software that I had registered versions of, were over-written with OEM versions. In particular, IBrowse and DvPlayer were overwritten. A quick copy from backups solved these issues. It feels fast, possibly a little faster than Amiga OS 4.0. The fancy new compositing system which allows transparency effects produced no slowdowns whatsoever. Part of this is probably due to having a Radeon 9000 pro graphics card. The transparency effects are subtle enough so as not to be annoying, and actually make it easier to find items when multiple windows are present. Thus it is more than just eye-candy. MiniGL 2.0 is included, which is something that I have been involved in significantly. As a result, more 3D graphics application/games have started appearing on os4depot, a file archive for Amiga OS 4.x software. Related to this, a bug in the Radeon graphics drivers which caused some OpenGL applications to flicker has been fixed. Overall, a big improvement. Other improvements include the new text-mode lister, which can display scaled minature copies of icons, and is visually much easier to read. Also welcome is the return of AmigaInput, meaning that joysticks and other input devices can finally be used again. At this point, not much software takes advantage of this, but that will likely change over time. I tested my Logitech Force 3D pro, and it was intantly recognized. However, it was not without issues; the z-axis and throttle controls were swapped by the system, and could not be calibrated properly. Thus, AmigaInput (or the related USB drivers) still need a little fine-tuning. There are also improvements that are not immediately obvious. Almost everything has been improved; the USB stack, drivers, the graphics system, DOS, file-systems, etc. As a result the system is more stable than Amiga OS 4.0; in fact, it is the most stable release of Amiga OS yet. Addition of new functionality such as Cairo, a 2D graphics library, provide a lot of potential for new software. Window transparency via the new compositing engine. Overall, Amiga OS 4.1 is a big improvement over version 4.0. However, it still feels like Amiga OS, and, after using OS 4.1 for a few days, it almost feels like I never really upgraded. The new features work nicely and quietly, without any fanfare. This is great as I never liked certain other operating systems parading their new functions with little "hey, look at this" bubbles. The true potential of Amiga OS 4.1 is actually what is not immediately visible. he improvements will be visible initially only to developers, who will be able to use the new functionality to bring more software to the platform. For example, AmigaInput is present, but very little software makes use of it. 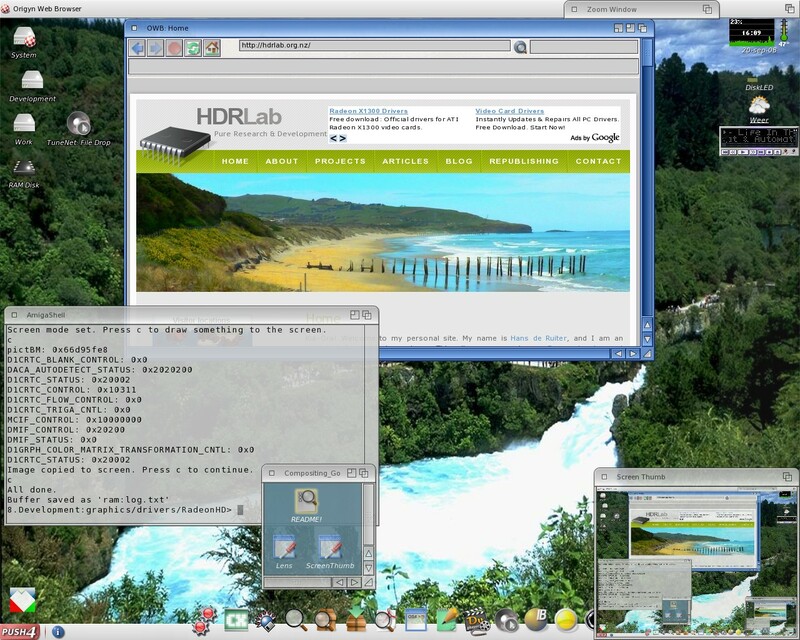 MiniGL 2.0 offers substantially improved OpenGL functionality, but only a limited number of applications/games are available at the moment that make use of it. Likewise, the Cairo library is largely irrelevant to users, but is a great tool for developers. Hopefully the presence of these new features will result in more software releases over the coming months/year. For Amiga OS enthusiasts, Amiga OS 4.1 is well worth getting. 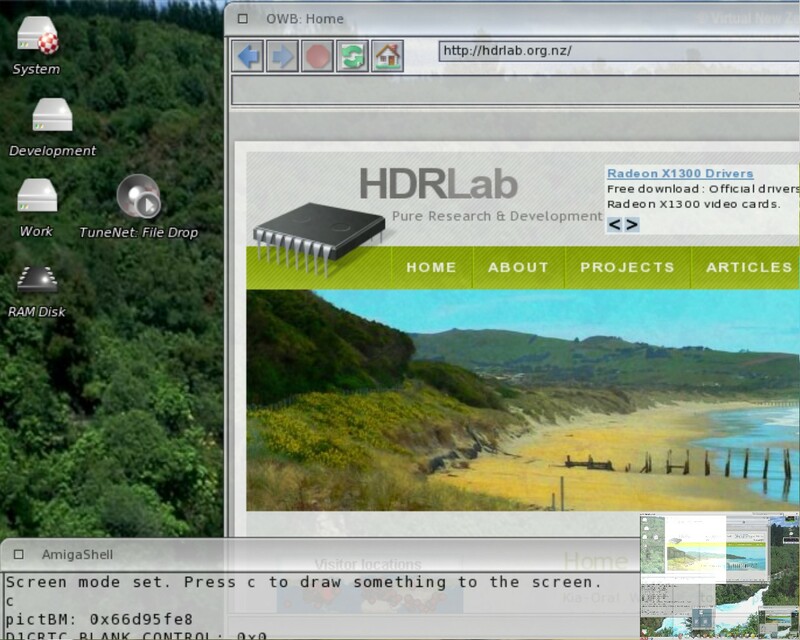 It may also be of interest to those who enjoy using alternative, non-mainstream operating systems. 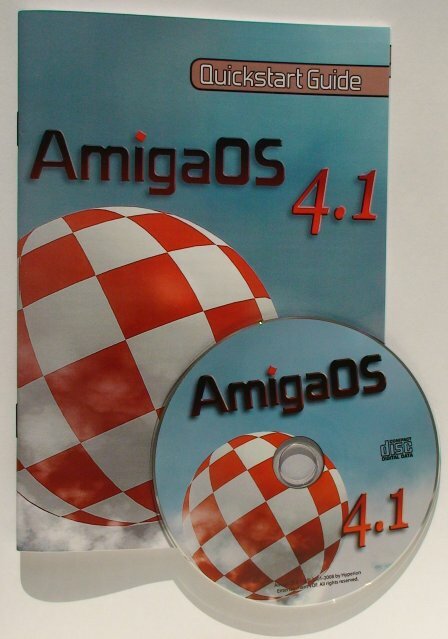 Anyone interested in developing software for a modern Amiga should consider purchasing/upgrading-to Amiga OS 4.1. A small demonstration utility provides real-time zoom of the Workbench screen via the compositing engine, with no noticeable slowdown. I wonder where I can find a disk for my old ghetto/vintage AMD K6-2/300 Processor P5BV+ Rev. B+ computer?